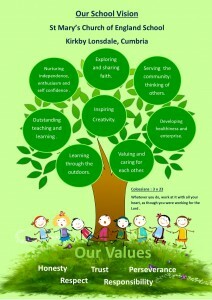 Our values are very important to us as the roots and life blood of every thing we do in our school. They are central in ensuring we achieve our vision for our very special school. Please see our ‘Ethos and Vision’ section for these values and our vision explained.